The highly trained orthopedic physicians at Greenwood Orthopaedics bring extra patience and care for our littlest patients. At our state-of-the-art facility on the south side of Indianapolis, our friendly providers treat patients from age three through adulthood. 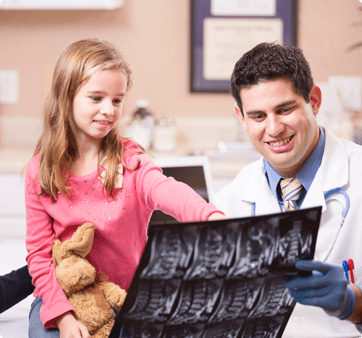 As one of the areas only practices providing pediatric orthopedics, we specialize in helping children heal from bone and joint injuries that can be an unfortunate part of growing up. We also provide expert care for sports injuries. Turn to Greenwood Orthopaedics for expert pediatric orthopedic care in Indianapolis. Call our friendly office at (317) 497-6497, or you may request an appointment online.